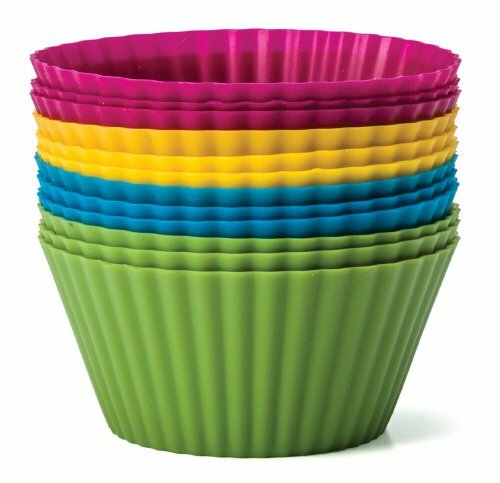 These easy-release, non-stick baking cups are reusable. No need to have to use a muffin pan. Just place the baking cups immediately on a baking sheet. Each cup is 2-five/eight\" diameter at the opening, 1-3/four\" diameter at the bottom, and 1-1/four\" tall, Every single cup holds around 2-one/four fluid ounces to the rim. The Vibrant Collection includes vibrant colors: yellow, green, blue and purple - There are twelve cups, three in each of the four colors Present Your Creativity Silicone is not just for baking! These cups are also utilized for gelatin molds, chocolate shell-lined desserts, and frozen treats such as mini ice cream cakes, ice cream molds, fruit and snack bowls! 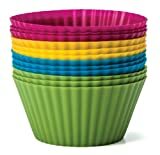 Practical Storage Container Baking cups stack effortlessly within for storage, keeping them with each other and fresh Transparent storage cylinder makes these colorful baking cups straightforward to find in your pantry Instructions FOR USE Spot cups on baking sheet or in a muffin pan. Fill and bake according to recipe. Permit to great prior to elimination. May use cooking spray lightly ahead of filling if desired. Securely place in dishwasher or hand wash to clean. Stack and store in their container for reuse. This set of silicone baking cups is backed by a Lifetime Totally free Replacement Promise. Pans heat quickly and bake evenly with no burnt or dark edges or bottom. 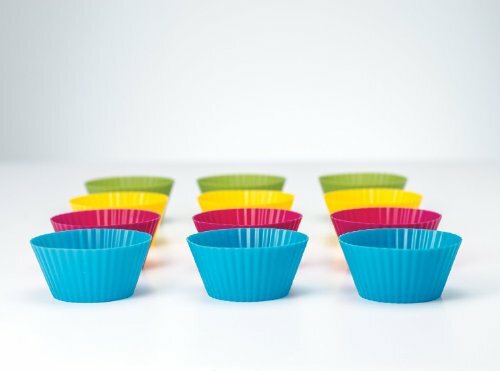 Set of 12 reusable silicone baking cups in yellow, green, blue and purple. Safe to use in ovens, microwave ovens, dishwashers and freezers. 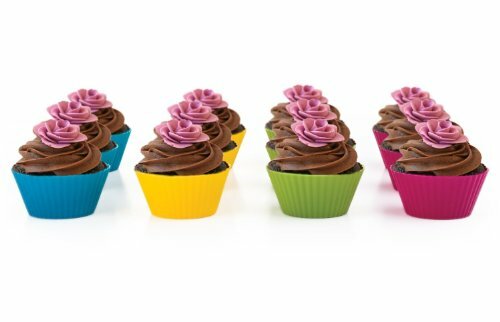 Versatile molds for cupcakes, muffins, cheesecakes, chocolate bowls, gelatin, and frozen desserts. place Standard size 2-5/8-inch dia x 1.25-inch tall. Pans heat quickly and bake evenly with no burnt or dark edges or bottom.